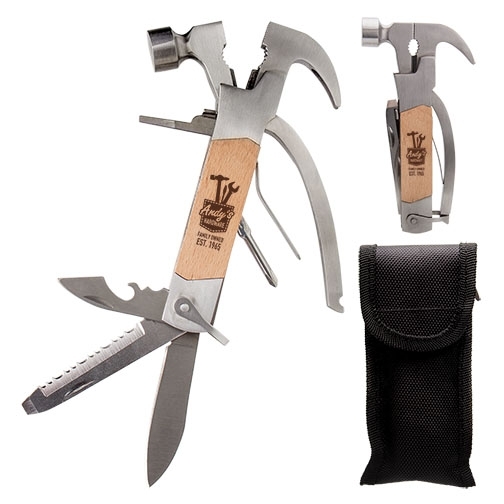 This multi tool houses flat nose pliers, regular pliers, wire cutter, hammer, nail claw, knife, serrated saw, bottle opener, slotted screwdriver, and phillips screwdriver. Features an oil-finished natural Beechwood handle. Comes in a black nylon carrying case with hook and loop closure. 2 3/4" x 5 3/8" x 3/4"